Although this bedroom is not especially big, it looks all the more cozy. Love how the bed is positioned in front of a window, the all-white look and well, basically all the pieces of decoration (the lamps! the shelves!). 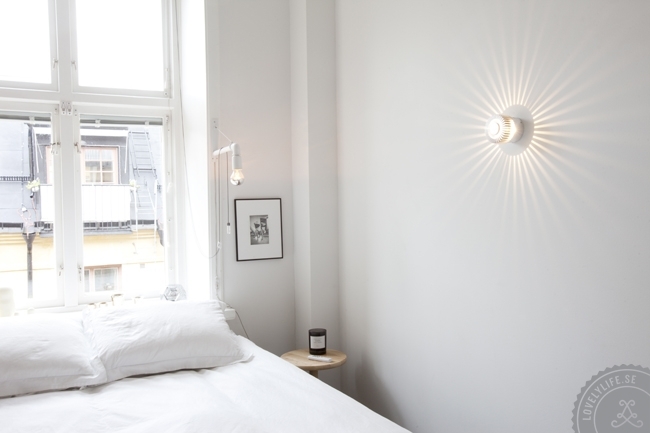 Patric Öhlund has created a truly wonderful home and if you want to see more, head over here. The pictures of this home in general are beyond gorgeous! They’re my current obsession. I want to move right in. I love the cosy, small bedroom. I think there is something to be said for small bedrooms. Your bedroom should be a warm and cosy oasis, and I always find smaller bedrooms to be just that. Plus, I am sucker for crisp white linens. 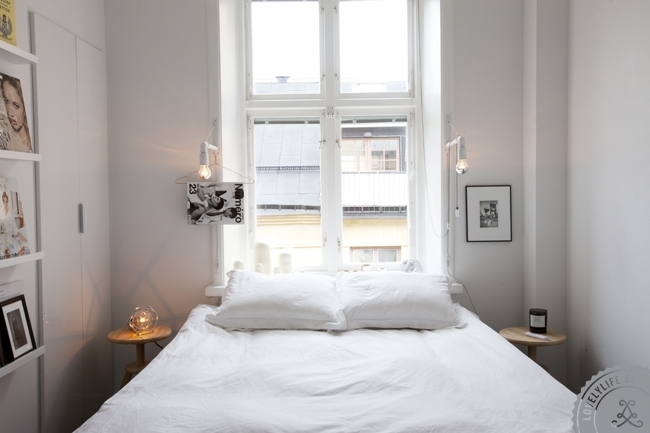 I love that the bed is in front of the window too- I love natural light. I really agree with everything you said. I love how simple and uncluttered this room seems: So much depends on the decoration of a room and the amount of natural light.